New elements still flowing in recent news from Nuremberg Toy Fair! This time one video about a new LEGO Play Theme for the 2H - "LEGO Monster Fighters" of its name, which is about Castles, Vampires and so on... At 2' 20" we can see the 'Gate to the dark with its six moon stones' which debuts a couple of other new elements. First, there is a new triple connector in Reddish Brown, like a mix between the Technic Angled Connectors and 57585 (Technic, Axle Connector Hub with 3 Axles). This provides a 120º between each connector, which is an angle still not provided among the angle connecters as they evolve in steps of 22,5º (90, 112,5, 135, 157,5 and 180). Hopefully this part will also become released in other colors, more common to the LEGO Technic models. Second and in between the first parts above, it seems we got also one of those two elements proposed by Barman, as seen inside the red ellipse from the picture below. This second element, whichever it is, seems to be particular useful. 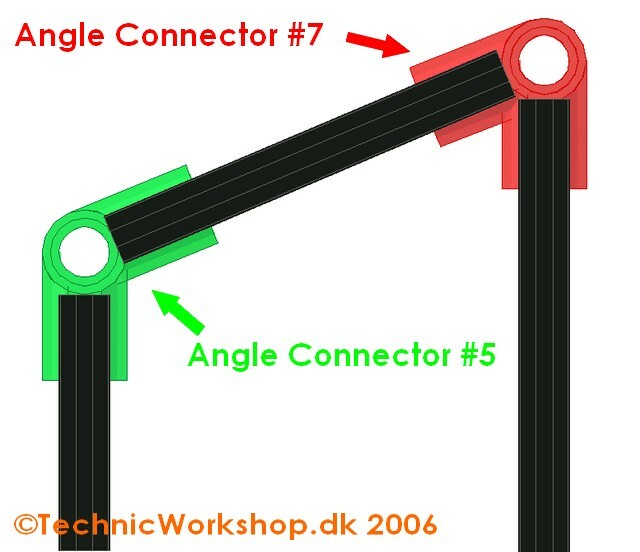 Wonder now for when will we get some connector similar to the first part above, that fits into a cube vertice, forming a 'T' shape, or even acute angles like this proposed here and here, by Carsten B. Thomsen (CBT)? Thanks Peer (mahjqa), for raising my attention to this video! From another picture taken at one the recent Toy Fairs and after apparent fail of the 'Gate to the dark' mechanism, we can finally see the second upcoming connector is not exactly what was anticipated before, but a 90º connector similar to 32014 with 1L axle terminations instead. It should be easier to understand, from the new picture below - Look at the red circles. Hmm, what if it's neither a pin nor an axle but a stud? 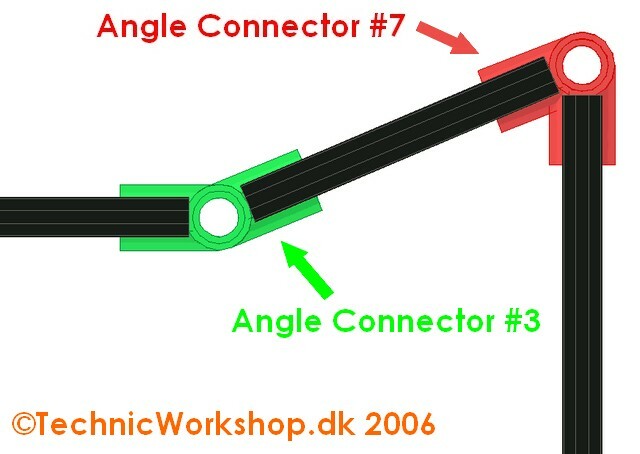 i need rigidity in my designs, and tight corners are critical to compact designs, so give me the bottom left and right axle connectors. i'd even settle for 32034 #2 connector with an axle hole. Many part suggestions are not unique - I first suggested elements 1, 2 and 2 with longer axles to TLG in 1997. They've been a long time in coming. It shows that great minds think alike in the community. I intended to make my own of #2 by cutting down the 16M axles with a hole at each end, but I'm not sure whether the axle of that has quite the same dimensions as a normal one so as to grip in axle holders. At the time I also suggested a #7 axle joint as a 90-degree T shape and #8 as a cross shape, enabling square matrix walls to be made with lots of 2M axles. I also suggested 12 and 20-tooth cogs, longer and shorter thin liftarms (not the thick ones we got as studless beams!) and a few other parts that haven't been released in sets. I think TLG's policy has changed since the community got going, in that they might be more amenable to community suggestions from the public domain now, where they could not take ideas from an individual except under NDA. Therefore I should put my ideas out there to see if anyone likes them! The 120-degree axle joints in the photo should fit well with their axle counterparts to make denser hexagonal matrix ones (2M centres) than can be made with just the axle ones and axle connectors (3M centres) http://www.brickshelf.com/cgi-bin/gallery.cgi?i=4362923 . I already have a good use for the 1M axle with hole - handrail supports, to go on top of a #2 axle joint. The combination provides 2 holes at 2M centres, for axles or rods to go through the holes and be the handrails. Added new information regarding the 2nd connector, to the main post. Also added this comment here, for the convenience of those subscribing the comments to this post.